Old-Fashioned Word of the Week – Learn about a new historical “lost” word every week in your email. Add it to your conversation to resurrect it, and connect with our shared past. Your Email (required) We will never sell or share your information. 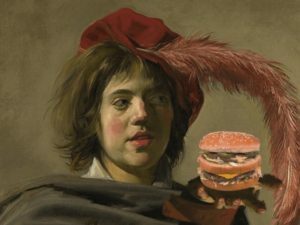 How would people from the Middle-Ages react if they ate a Big … Continue reading How Would a Medieval Person React to a Big Mac?